Looking to improve the tone and texture of your skin???? On the quest for younger skin....Vitamin C is one of the top ingredients on the list for it's anti-aging properties. 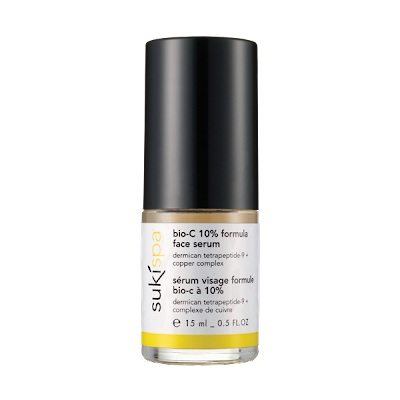 Suki has done it again with their bio-c 10% facial serum. Know for their use of the utmost natural ingredients, Suki products will fit seamlessly into any "Purist" skin care regime. "This highly concentrated, oil-free serum is specifically designed as a super antioxidant to support collagen production & help prevent future signs of aging." Brighten your skin while fighting off free radicals with your daily dose of vitamin C!